Whenever I travel I have my camera with me. There is nothing better than having your own pictures of places you love. Beside the memory you have saved for yourself in your head and heart. What I often do is sighting my pictures back home and then work on the best ones. 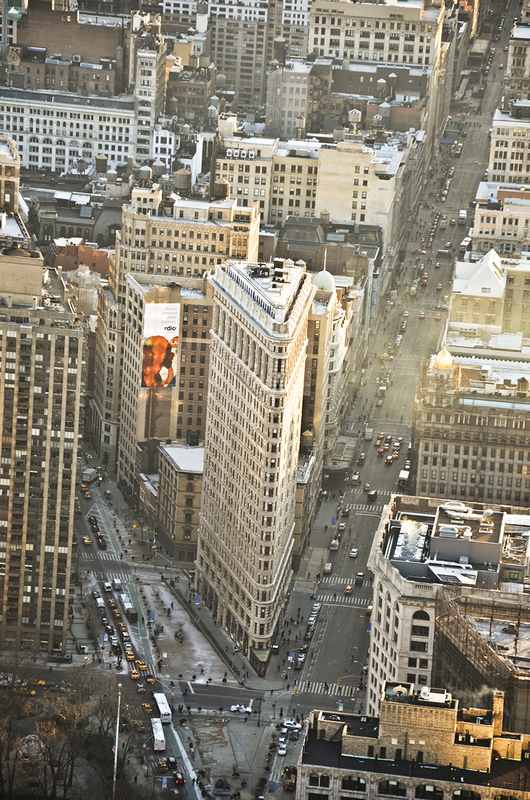 One of my all time favorites is this picture of the Flatiron building in New York. To keep those memories vivid I often use the chance to print my favorites and place them around me. My flat is full of memories and this is one of them, standing in my living room and reminding me of a wonderful evening at sunset in New York. 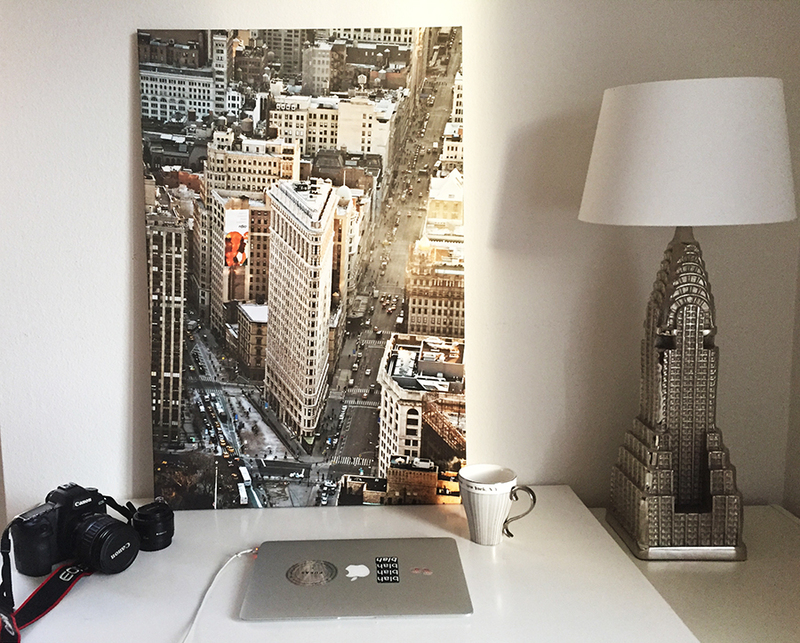 This one I printed at colorfotoservice.ch - the page is super easy to handle and you can choose between a lot of different options to print your pictures on. I personally really like canvas or acrylic glass. So whenever I am working on my desk at home. Currently for my filmstudies for example. I get motivation by looking at such pictures, knowing to be there or somewhere as beautiful and exciting (hopefully) soon again. On this pictures you can guess how much I like New York and it's buildings. The Chrysler Building Lamp from Westwing is one of my most precious interior pieces. And the little cup - also found at Westwing my daily companion. What do you do, do keep your memories close?